Treasury Bills (T-Bills) are short-term debt instruments issued by the Federal Government of any country through its Central Bank to raise short-term funds from the general public (private individuals, institutional investors, non-governmental organisations, religious bodies etc.) for the purpose of financing government budget deficit. In Nigeria, T-Bills are issued by the Central Bank of Nigeria (CBN) and it is guaranteed and backed with the full faith of the Federal Government of Nigeria. T-bills are issued at an interest rate often referred to as discount rate. How do Treasury Bills work? T-Bills are discount instruments and they are so called because the investor gets its interest upfront. This means that the interest promised on a T-bill instrument is payable on the very day the investment commences. For instance, if a T-bill promises a 10.0% rate per annum and an investor wants to put in N100,000, the investor pays only N90,000 from the day of investment but gets back N100,000 at maturity. The maturity value (N100,000) is referred to as face value while the initial investment (N90,000) is discount value. What is a True Yield? True Yield is your effective Return on Investment (ROI). Using the illustration above, the initial yield for the N100,000 is 10.0%. However, because interest is paid upfront, your true yield is actually the N10,000 interest received divided by the N90,000 actually paid. That is N10,000/N90,000 translating to 11.11%. This is however higher than the 10.0% rate per annum. The True Yield is fully earned when you hold to maturity. A T-Bill can be purchased either in a primary or secondary market. 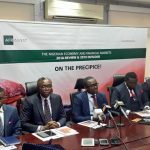 The primary market is when the investor buys directly from the CBN through a public auction carried out every fortnight while in the secondary market, an investor buys from an existing holder of a T-Bill. Hence, T-bills in the primary market can be bought only every two weeks while in the secondary market it can be bought every other day. The minimum amount that can be bought in the primary market is >N50.0m while in the secondary market an investor can invest as low as N5,000. T-Bills are issued for specific time period usually 91-day (3 months), 182-day (6 months) and 364-day (one year) tenors in the primary market. The rates on T-Bills are quoted annually; as a result an investor gets the full rate only if the tenor is up to 364-day. For instance, if the rate on a 182-day T-Bills is quoted at 10%, the investor effectively gets 5%. However, in the secondary market, T-Bills can be bought at irregular tenors ranging from 1-363 days. What is a Treasury Bill Auction? In the primary market, the CBN conducts T-Bills auction usually every fortnight and requests investors to quote the rates they are willing to pay on the different tenors of T-bills usually 91-day, 182-day and 364-day instruments. At the auction, the maximum rate at which the CBN is willing to sell is called the stop rate. Any investor that quotes below or at that rate gets the amount quoted and at the individual rate and any investor that quotes above the stop rate is bided out. What do I Benefit for Investing in Treasury Bills? Treasury bills in Nigeria are guaranteed by the full faith of the Federal Government; hence there is no default, in the event that the government cannot pay, the CBN can print money to settle all investors. Treasury bills are fixed income investments and income from T-Bills are tax free. Investing in T-Bills encourages savings and it can be easily converted to cash. T-Bills also pay higher interest than an investor will get from a Commercial Bank plus the fact that T-Bills certificate can be used as a collateral for Bank loans. How are Treasury Bills different from OMO? T-Bills and OMO (Open Market Operation) are similar and work almost the same way. Whilst T-Bills are issued to finance government budget deficit, OMOs are issued by the CBN for monetary policy management i.e. to control the volume of money in circulation. OMOs are also discount instruments in that you get your interest upfront but they can also be bought in the primary and secondary market. Depending on the objective and aggressiveness of the CBN per time, it might be possible to get higher rate on OMOs than T-Bills. OMO is also exempted from taxes. OMOs are issued at irregular intervals. Can I sell before Maturity? Yes, you can sell T- Bills before maturity. However, the price at which you sell depends on the prevailing interest rate. For instance, a N100,000 Face Value (FV) T-Bills maybe selling for less or more depending on the prevailing interest rate as at the time of the sale as yield expectation influences interest rates. If your FV is trading at a higher price, it means you can sell your T-Bills at a profit as such your N100,000 can sell for N101,000 or more. If your FV is trading at a lower price, it means you can sell your T-Bills at a loss as such your N100,000 can sell for N99,000 or less. Can I rollover my Treasury Bills investment? Yes, you can rollover. However this is not done automatically. 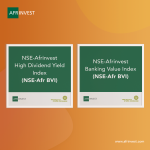 Your account officer will notify you few days to the maturity of your investment requesting you to state if you desire that your investment be rolled over or paid into the bank account registered with Afrinvest. What are the other benefits of Treasury Bills? 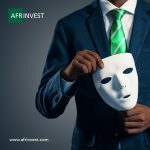 What is the Minimum Investment in T-Bills with Afrinvest? The minimum investment is N100,000 (One hundred thousand naira only).